Bishop Feild was an important force in cricket in St. John’s around the end of the 19th century and beginning of the 20th. Interschool cricket was an important part of the calendar, and the former students team was prominent in the St. John’s league. The Digital archives at Memorial has copies of the school magazine on-line, from which these articles are transcribed. Our last cricket season was a particularly successful one, and Wood, who was the captain, is to be congratulated. Previous to the holidays, the fielding was particularly smart. In our next we shall give the names of the eleven who have won their colours. College Cricket: We hope cricket will flourish in the College this season. Some preliminary practice has been arranged but we must confess we have been disapointed at the lack of interest that has been shown. Charlie Hunt has been elected captain but unhappily he has been on his back almost continuously since his election. J Sceviour, j Simms and Ed. Jeffery have so far been easily first in the matter of keeness. Now ye, who can play cricket, make a start! The more you play the game, the more you like it! In spite of various difficulties occasioned by vaccination and otherwise, our team did excellent work during the season. It is true that the coveted top place was won by St. Bonaventure’s College, whom we congratulate, but Bp Feidl College made a close second, and an examination of the scores given below will show that had we had time to play out our matches with St. Bonaventures we should have been the victors and thus have wn first place. As it is it will be seen that our Hal Hutchings has both the best batting and bowling averages. We wish to enter a protest against unnecessary and wilful delay on the part of batsmen going to the wicket, when playing against time. We do not think it the game at all. Club spent $30.86 – $7.07 on balls, 20.30 on bats. And a revelling at cricket all the day. ‘Twill last for a thousand years, you’ll agree. If the cricketer happens to be W. G.
If the cricketer’s name be W. G.
Now, you’ve heard about a certain kangaroo. To lick Leo at his play. And sometimes, ‘pon my word, he did it too. They talk about their ” demon ” and our W. G.
Chorus.—Then cheer, boys, cheer, etc. For there’s something very thrilling in a bat. Will make a fellow’s heart go pit-a-pat. And champion players there ever will be. But there’ll never be a champion like W. G.
There’s a certain fascination in a ball. Hits the stumps and leaves the bails on after all. A bowler, it is clear, may win demoniacal fame. While a Spofforth, or a Lohmann, or a Shaw you may see. Though a pretty decent bowler is our W. G.
Chorus Then cheer, boys, cheer, etc. May you never lose a match. May you have a double dose of cricket joys! Again, three or four weeks ago cricket practice was started in the Brigade Barracks, but was suddenly dropped. The reason of this may possibly have been the accidental breaking of the globe of a gas-light, with consequent fears of similar occur¬ rences in the event of further practices. (There was more than one gas-light in the hall.) Such trifles as these, however, should not be allowed to damp one’s enthusiasm. Cricket cannot be begun too early. Perseverance and enthusiasm brought us off victorious in the hockey, and we have to win the cricket this year. Let the practices be begun at once then. It will be observed that it is done on a uniform system ; one vote is taken, and the first man becomes captain, second vice- captain and third secretary. In Div. III. J. Blackall and A. Edwards came out equal, but a second vote went in favour of Edwards. As the first division provides the College team it is of course the most important for the moment, and we hope as usual, to succeed in getting hold of that cup this year. We do not doubt that Captain Simms will practice his team diligently and judici¬ously, and do the best that can be done with his material. A point which requires notice is the care of stock. Cricket stock is very expensive in this country, and heretofore has been very carelessly handled. It is to be hoped that division officers this year will be more careful in this respect. Secretaries also have room for improvement in the keeping of funds, accounts, &c.
AS there has been no meeting up to the present moment of the Newfoundland Cricket League, one cannot speak definitely of the coming season. It is to be hoped, however, that the smouldering ashes of a once great fire of enthusiasm and interest in the fine old English game will not be allowed to die out, but that, by the united efforts of all wielders of the willow in this country, they will be rekindled into a greater blaze than there has been heretofore, and result in a wider, livelier and more pronounced interest in the competition for the Championship of Newfoundland. It is a regrettable fact that there is little interest taken in cricket in this town. 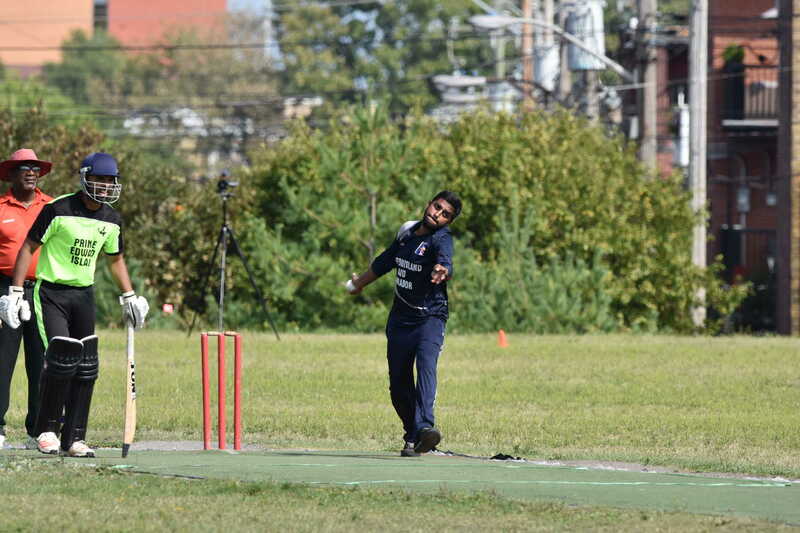 The team that, in my humble opinion, has done most to keep up the interest in the game, is the Shamrock Cricket Club. 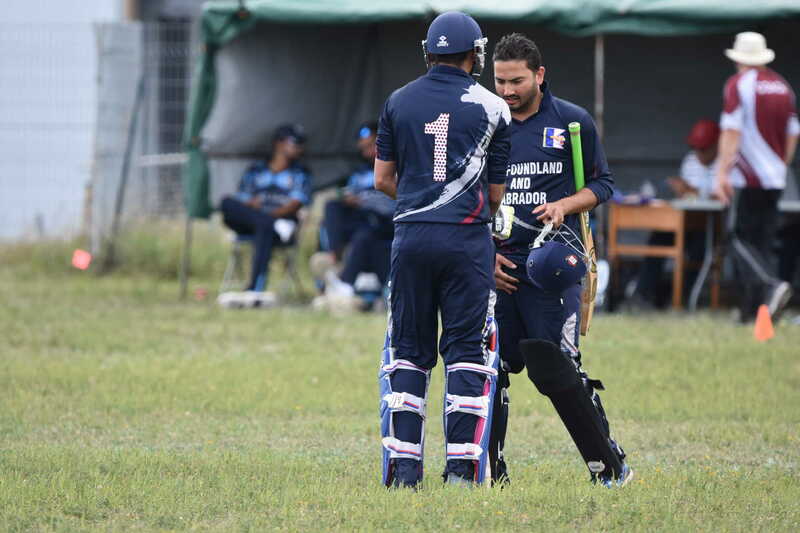 They have been Champions for a number of years, with but few breaks, and it is with this team that the Feildians may expect keenly contested games next season. The only other team in our League is the C.L-B. 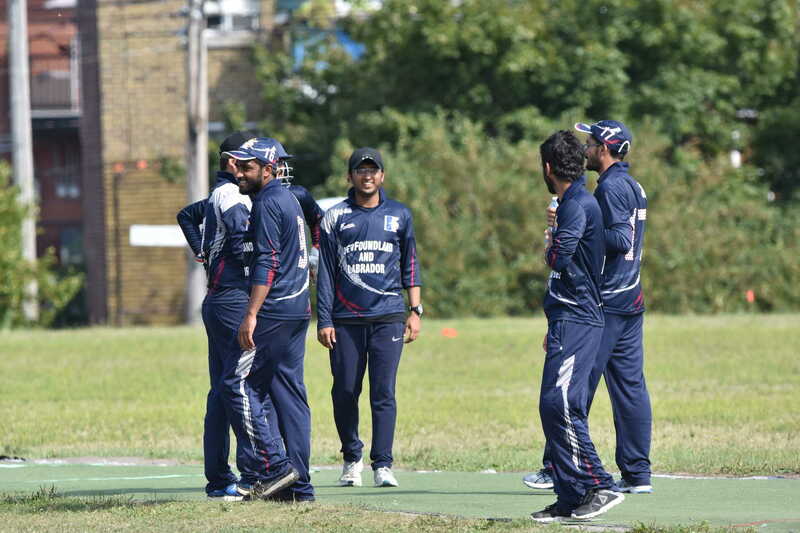 Cricket Team, whose first season in the League was last year, when they joined to counteract the loss caused by the withdrawal of the H.A.A. from the League. This team, by the way, with certain other clubs, have formed a new League, and their matches are played on St. George’s Field. In my mind, it would be a splendid thing if the two leagues combined, and, instead of having two rather small leagues, we had one large one, consisting of some seven teams. This would, in the opinion of the writer, largely help towards increasing the popularity of the game. The seed is sown but the soil needs the attention of the gardener. Many alleged reasons have been put forward why cricket is not popular in this city. I shall name the three most important of these and make a few remarks on them. The first put forward, as a rule, is that the weather is unsuited to cricket; the second, that there is great difficulty on the part of many to receive permission to play; the third, that the football craze is so great that it prevails everywhere in the summer. As regards the first reason, it can be retorted that the weather in Newfoundland in the summer is not less agreeable than it was ten or twenty years ago, when cricket was the game of Newfoundland, when hundreds of spectators would be present to see the game, and when there was a keen interest in, and a great love for, the game. 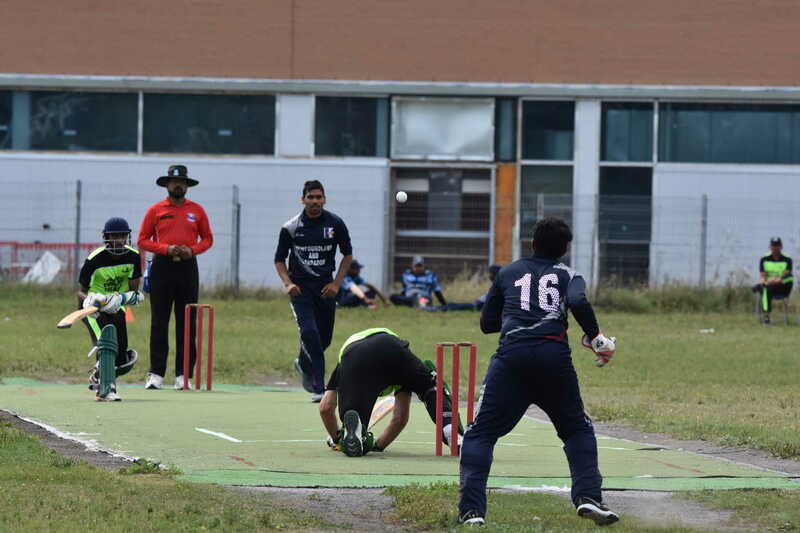 Furthermore the weather is much more favourable in July and August than it is in the earlier months of the year when the college teams play their matches with as keen an interest in the games as one wishes to see. The weather, too, is as a rule most favourable, though it must be admitted that on some days it is more suitable for football. It is not very easy to go to your employer for leave to play cricket when there is plenty of work on hand. It seldom happens, however, that a player cannot be excused. I have seen teams playing on holidays with only nine or ten on their side, and the employer must not be blamed for this, for it is some other attraction that claims the mind of the absentee. Football is the game now that appeals to the people most. Spectators come in thousands to see a game, join heartily in the applause and enjoy the game thoroughly. The game usually starts right on time, with all the men present on both sides. No wonder is it that football is so popular. Football has won the hearts of the sporting public, the hearts once captured by cricket. Why ? Because it is played with a vim, it is advertised and there is no waiting for men to turn up, no taking on of substitutes. And hereby hangs the tale. I can remember hundreds of spectators watching matches between such teams as the Shamrocks, Terra Novas, Nondescripts, Avalons and others. These matches began on time, continued till late, and were thoroughly enjoyed. I am sorry to say that this condition of things was, but is not. There are not more than fifty active cricket enthusiasts in the city to-day; there may be hundreds of dormant ones. What part have the Feildians played in preserving, or rather, the endeavour to preserve, the supremacy of interest in cricket over that in all other games ? We have been in the Cricket League for some years now and our record on paper is a fairly good one. We have had many hard fights on the field and have always played the game in a jovial and gentlemanly way, but we have had our faults and in a private publication it may not be amiss to mention some of them. In the five or more years that we have been in the league we have played about thirty-five league games. At how many of these games has the full team been on the field and ready to play on time?. My estimate would be about five, and that is a very liberal estimate. A very lamentable state of affairs, a very poor example, but a fact. In these games how many substitutes have we taken on? On an average about two a match. The average would be larger were it not for the fact that on many occasions we had to play with less than eleven on our team, not even substitutes being available. When has the ground been ready to play on ? Has our gear always been in good condition and at hand? These are questions which those who have seen, or played in, the greater number of these games can best answer. I shall leave it for them to answer for themselves. The blame for all this delay, taking on of often worthless substitutes and other drawbacks must be placed on the team as a whole in some cases but not in others. When a player is chosen to play, even if it is only by a notice in the paper, he should turn up on time or inform the captain in suitable time that he is unable to be present. He should, if he intends to play, turn up on time. 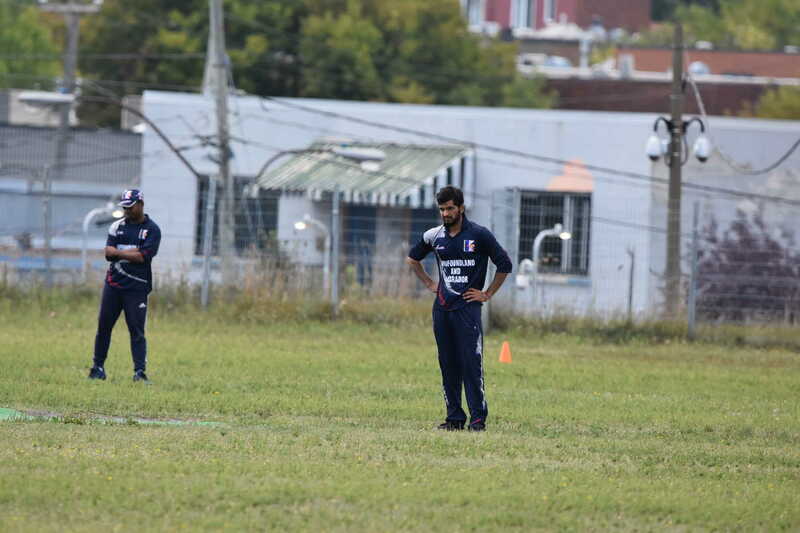 Spectators find little or no pleasure in watching a few players experimenting in a corner of the field. They are easily disgusted and, once disgusted, their interest wanes. Once spectators refuse to attend the game, cricket has received a blow that it is hard to recover from. We have splendid material in our team and all that is needed is thorough organisation and perfect discipline to make the Season’s work as great a credit to the Old Feildian Athletic Association, as their usual football year’s work is. If there is a Feildian Eleven (and not a Feildian seven and scratch four) playing in every game; if there is an opportunity given for practise at Llewelyn Place now and then; and if the stock is in good condition, our team’s work this year will bring forth good fruits. In conclusion the writer hopes that there will be a series of games played between a representative team of old boys and the College team assisted by the masters. Not only will it be good practise to both elevens, but it will show those in authority in the Old Feildian team those whom they can call upon in the senior league matches, and, incidentally it will be splendid training for the nervy young player who hopes to play his first game for his College when the inter-collegiate matches begin. C. E. HUNT. (Prepared for the most part by the Secretary, Hd. Jeffery omitting, of course, the criticism of his own play). Our first match for the season with the Methodist College showed what we could do. Both teams fought hard for the mastery. There was a time when the match seemed to be ours, but our opponents scored the necessary number of runs in the last three quarters of an hour to give them the match. Our next with St. Bon’s resulted in a victory for us by an innings and two runs. J. A. 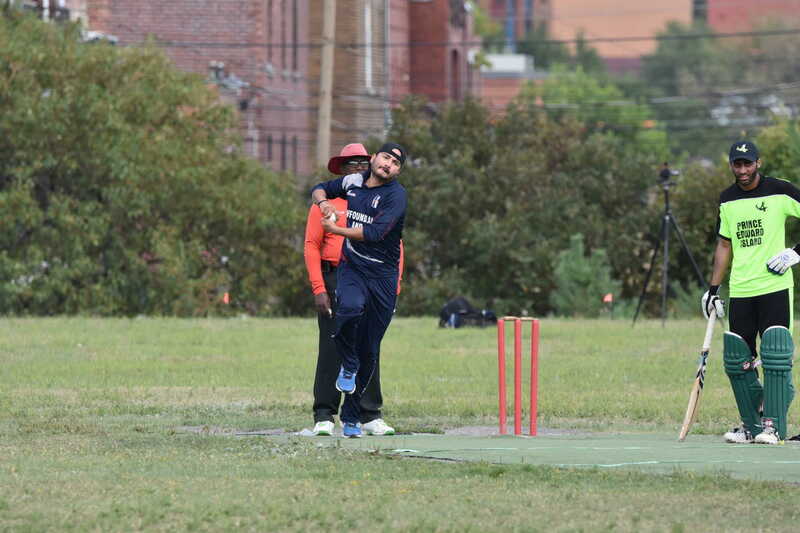 Winter distinguished himself in this match by making the score of 42 runs. 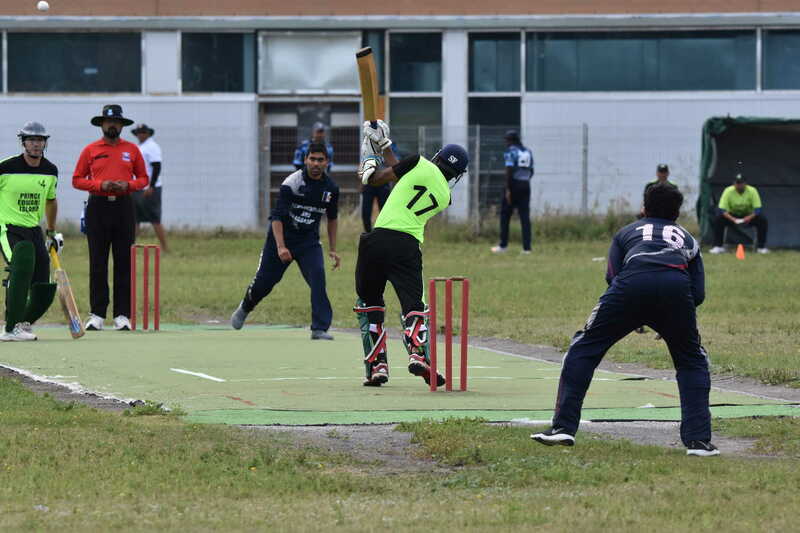 The match between the Methodists and St. Bon’s resulted in a victory for the former by an innings and 14 runs. This match ended the first round. When we again played the Methodists we seemed to be at our worst and the Methodists at their best. Penny and Archibald, the bowlers on the Methodist team, put us out for a small number of runs. 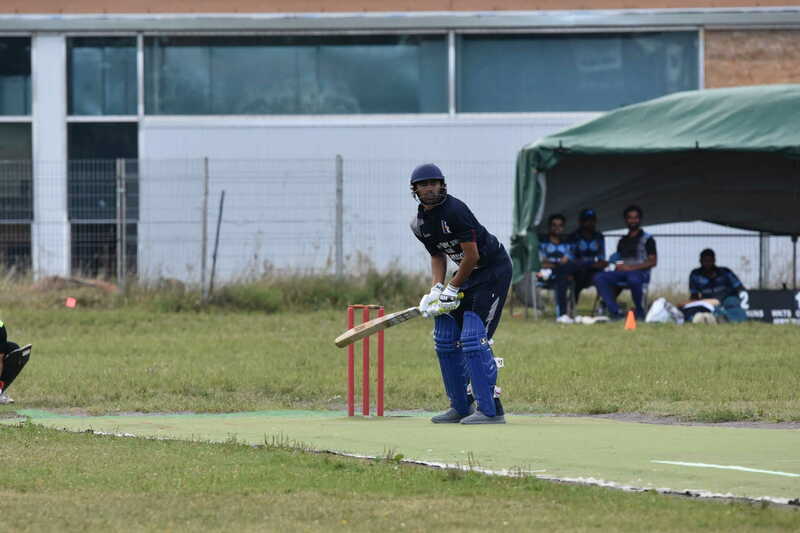 The Methodists then went to the wicket and batted so well that in our second innings we could not make up the necessary number of runs to save an innings defeat. 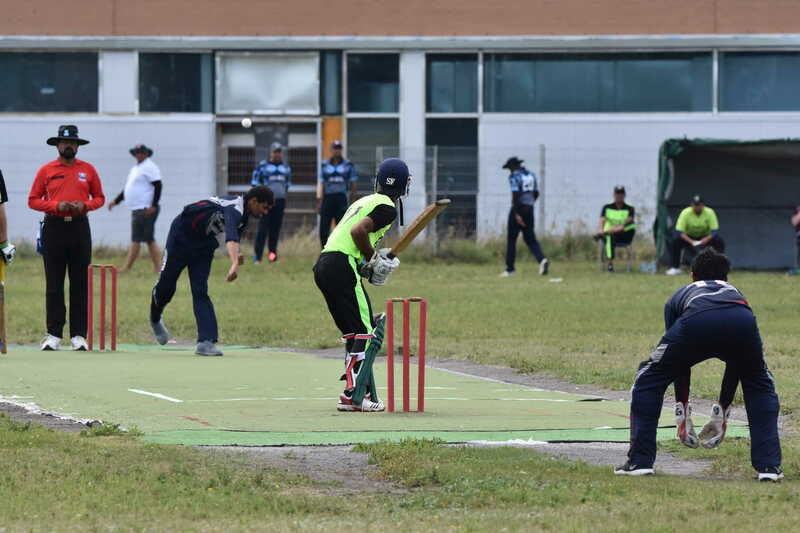 In our second match with St. Bon’s our boys did not seem to have the spirit that cricket requires and we again met with defeat. In the last match for the season St. Bon’s beat the Methodists, so St. Bon’s have the honour of being the only team to beat the champions of 1905, namely the Methodists. We congratulate the Methodist College on their success. Simms, the captain of the team, is a good all-round man. He captains a team splendidly and has made weak teams strong by his good generalship all through the year. The cool way he bats often puts confidence in many of the less experienced mem¬ bers of the team. He is a good field, a capital catch and an effective bowler. J. A. Winter who is sub-captain is the strong man of our team. He is one of the best bats the College has ever had and the prettiest. His bowling all through the season has been most effective. He is always cool and collected. H. A. Winter has his brother’s coolness and all through the year has promised well. In the matches he did good work keeping up his wickets like an old hand. He is a good catch and fields the ball quickly. He adds greatly to the strength of the team. E Pinsent is another of the strong men of the team. He bats well and seldom leaves wickets without having added to the score. In the field he is a good catch and runs quickly. 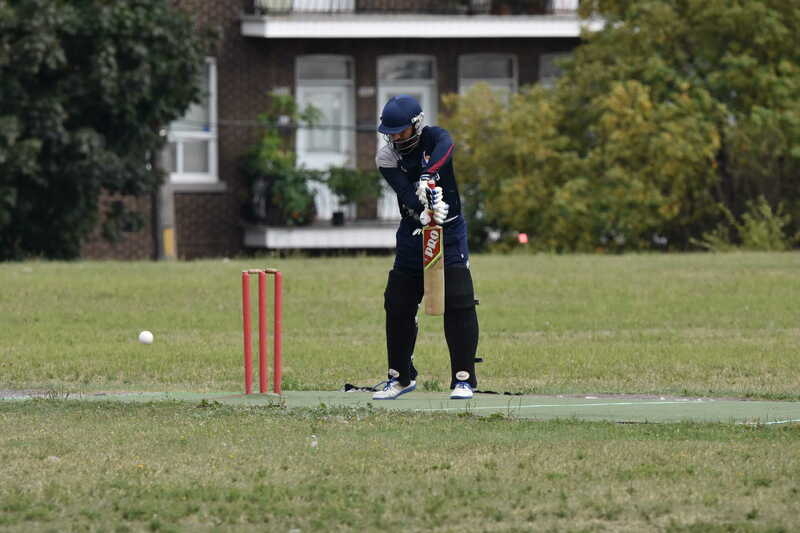 C Stein our wicket-keeper is exceedingly cool and has stuck to his post behind the wickets manfully. He possesses some good points as a bat, blocking well. BE Dunfield has won his place on the cricket team this year. He has improved very much in batting and in fielding since the beginning of the year. 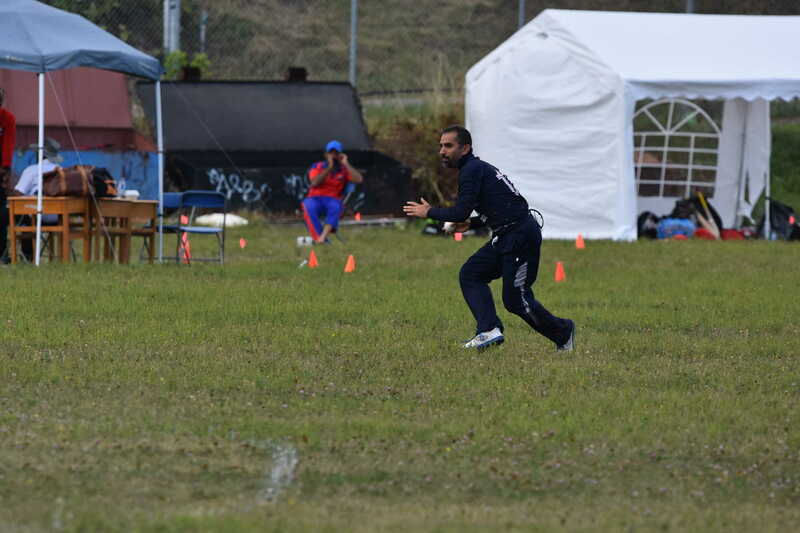 He has caught several hard catches in the field and he runs quickly. RA Penny our mid-wicket has played a good game this year. He possesses many good points. He blocks well and has often been useful to the team in that way. S. H. Morine deserves a special word of praise for this is practically his first year at cricket. He has worked hard and has improved rapidly both in fielding and in batting. In the matches he was good all through. He will make a good cricketer some day. J. Anderson has shown us all that he has not by any means forgotten how to hit. He sends the ball to the boundary again and again. Leg breaks and fast bowling have no terrors for him. His fielding has improved. 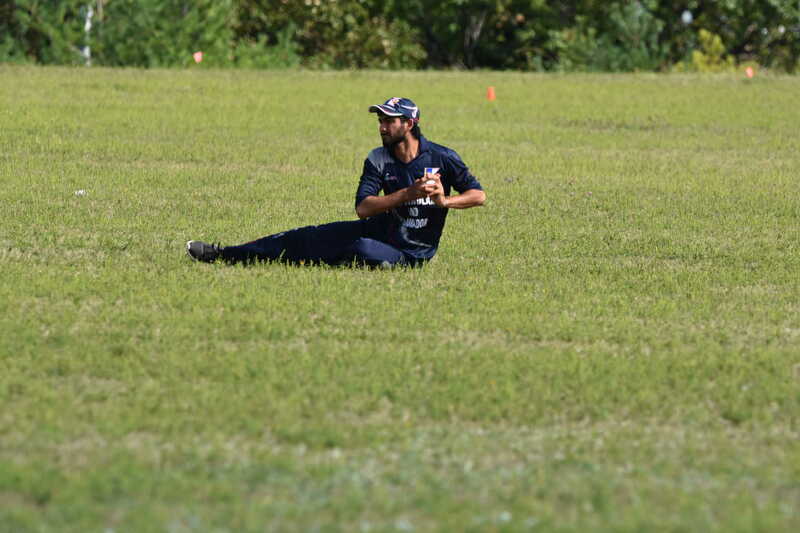 E. Chafe has taken his place as slip on the field this year and has filled it well. He fields well and throws the ball in hard. His batting is good and next year will be a good man on the team. Ed. Jeffery though last named is not by long odds last in merit. He has played a thoroughly good game throughout the season. In one match he hit up 26 in good style and has an average of nearly 8, not so bad for our wickets. He is a smart field but it is chiefly as a bowler that he has excelled. He has a difficult delivery, plenty of pace and is often very hard to score from. He has taken much interest in the practices and altogether he may feel very proud of his season’s work. Colours were this year presented to J. Simms, J. A. Winter, Ed. Jeffery and H. A. Winter — Jack Anderson won his last year. It would only be fair to say that our team is composed of young players for the most part. Great credit is due to captain Simms who worked the team up so well. THE Feildians opened their season in splendid form, beating the Holloways and the T. A., although in neither game did they play a representative team. 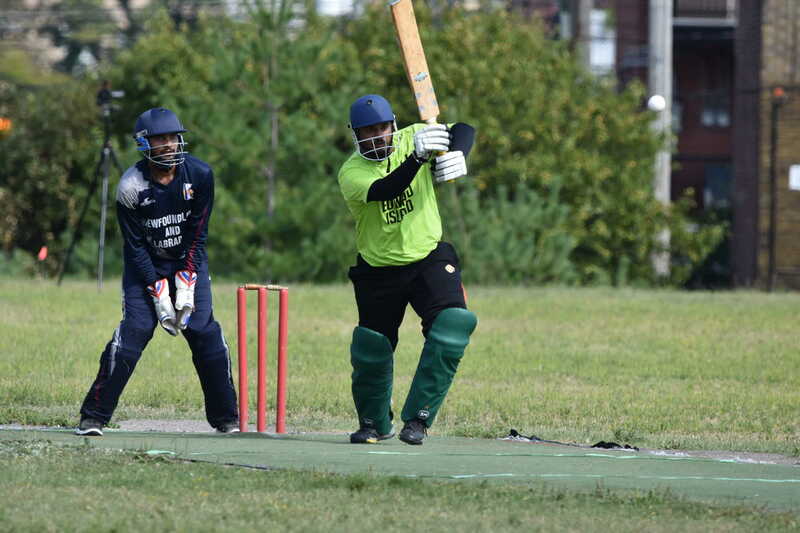 They unexpectedly lost to the C.E.I, by one run after a very exciting match, and in their final game played very well against their old friends, the Shamrocks. We must congratulate that team upon their victorious season, and it does seem befitting in a sense that this team of keen and experienced cricketers should win the first trophy ever awarded the champion cricket team. Of our team, Capt. Wright, G. V. Boone, R. Dowden, H. Dickinson and C. E. Hunt deserve special praise for their services and the keen interest they took in the game. J. A. Winter, R. Winter, N. Morine and others worked hard and on occasions did splendid work. We cannot but congratulate the team on their work and endeavour to raise cricket out of the mire and apathy into which it has sunk, but we sincerely hope that before next season we shall have a representative team every match, for on not one occasion last season did we have what we would like to see — an Old Feildian Eleven. There was also a Boarders Division of which W. Harnett was Captain and E. Hanham and S. Blackler, Secretaries. (2) The matches of the Inter-Collegiate Competition for the Challenge Cup were very keenly contested. The Methodist College had held the cup for two years in succession. A win for them this year meant the loss of the cup to the League for ever. In the first round we lost both to the Methodist College and to St. Bonaventure’s, but St. Bonaventure’s beat the Methodist College. In the second round we lost to St. Bonaventure’s who in their turn lost to the Methodist College. This was the condition of things when our team took the field against the Methodist College on Monday. July 2, for the final match of the schedule. A win for the Methodists would make them and St. Bonaventure’s equal at the top of the list and render another match necessary; a win for us would not put us any higher on the table but would render the cup secure to the College Athletic League. The close of the match was intensely exciting and, wonderful to narrate, we won the match. We say ”wonderful to narrate,” for a kind of bad luck has pursued us in the game of cricket. The best bat of our team for the season was undoubtedly H. A. Winter, who made an excellent captain; while to E. B. Chafe must go the palm for bowling. 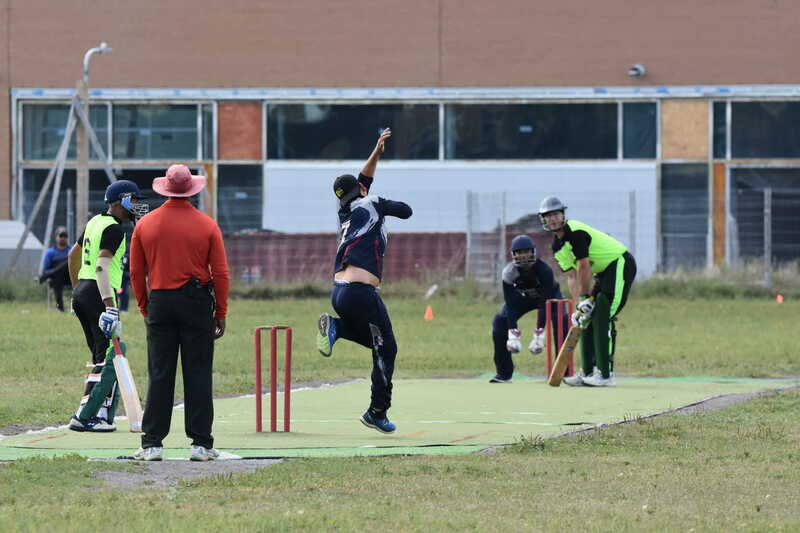 We congratulate the team upon their season’s work – and more particularly upon the hardihood with which they stuck to their practices in spite of most inclement weather. Old Feildians: The cricket Secretary reports that the Feildian Blues entered the Newfoundland cricket League and played four matches, two of which were won and two lost. He regrets that a more active interest was not taken in the game and that the opportunities of practice were seldom availed of. Captain…. R. H. Tait. T. Winter. E. Winter. “EVERYTHING comes to him who waits” may aptly be applied to the efforts of B.F.C. cricket teams in reference to their many, though unsuccessful, attempts to win the cricket Championship. At last the spell has been broken, and B.F.C. now congratulates herself on having reached that goal of her desire for the first time in her history. The College has been singularly successful this school year, champions both in cricket and in hockey, and a very good second in football — all attained by sheer hard work and perseverance. At the beginning of the cricket season our hopes were fairly strong for a successful result, and in this we have not been disappointed. There still remained to us five of last year’s team— R. H. Tait, J. Anderson, C. Martin, A. Edwards, and F. Rendell — and we did not have great difficulty in finding six other men. The first match was played on Saturday, May 28th, between B. F. C. and M. C. M. C. went to bat first and ran up a score of 46, of which Hayward made 16 and Fenwick 9. Our team then batted, and we were dismissed for 32, Tait’s score of 12 being the best, and so M. C. had 14 runs to carry. In the second innings M.C. made 53, Hayward 26, and this added to their 14 runs, left us with 67 runs to make in little over an hour. Our chances looked very slim indeed; still we determined to do our best. The game grew very exciting as our score crept up and up until at last we passed the 67 runs, when Feildian enthusiasm could not be restrained, and the game was ours. Anderson and Seeley with 20 runs each undoubtably saved the game. 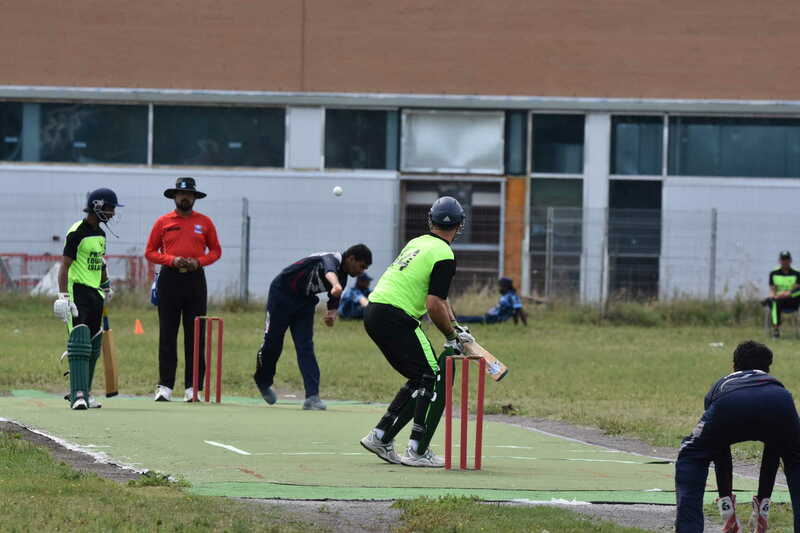 Our second game was with the St. Bon’s, but owing to the state of the weather the game had to be abandoned when the first innings was half over. B.F.C. team in their first innings made 59 runs, Tait making 19 and Joyce 8. St. Bon’s then followed with 4 men out for 30 runs, and here the game had to be abandoned. 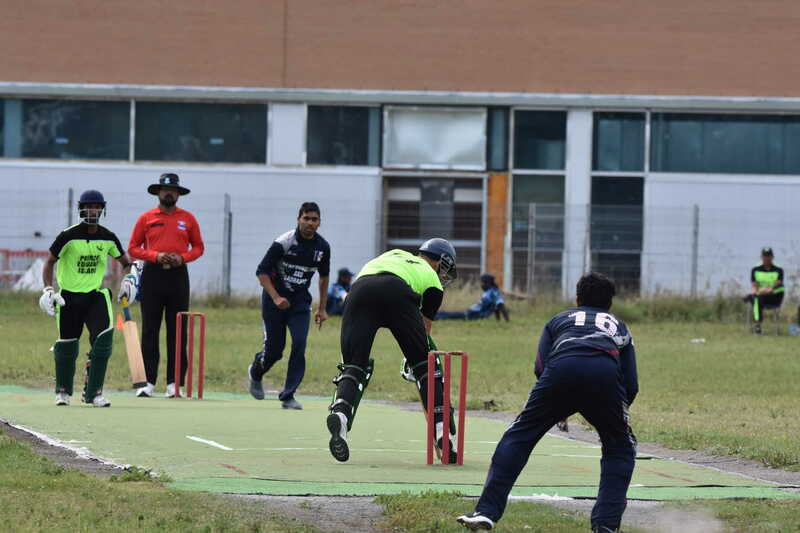 On Saturday play was resumed and the remainder of the St. Bon’s were dismissed for 10 runs, thus giving them a total of 40 runs for their first innings. Our team in its second innings made 40 runs, Anderson and Edwards making 9 each. St. Bon’s were then left with 59 to make. They succeeded in making 34 only, thus leaving B.F.C. victorious by 25 runs. 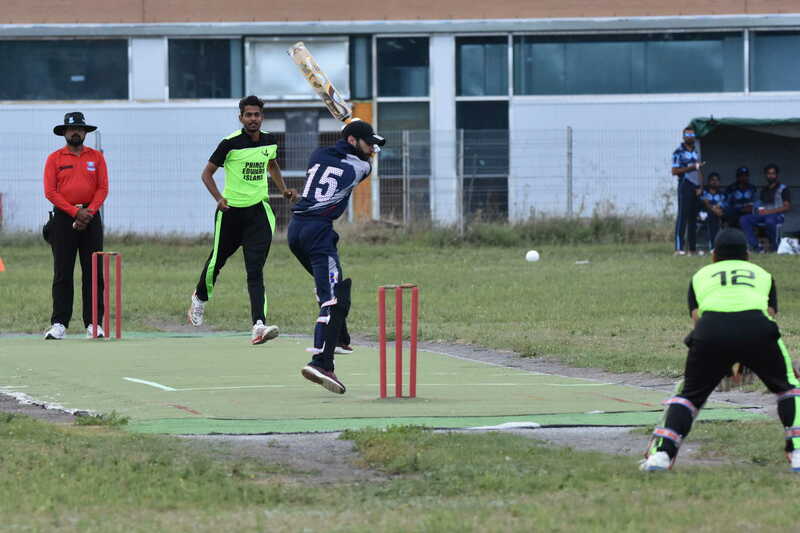 In their match, the St. Bon’s beat M.C. by about 14 runs. B.F.C. and M.C. 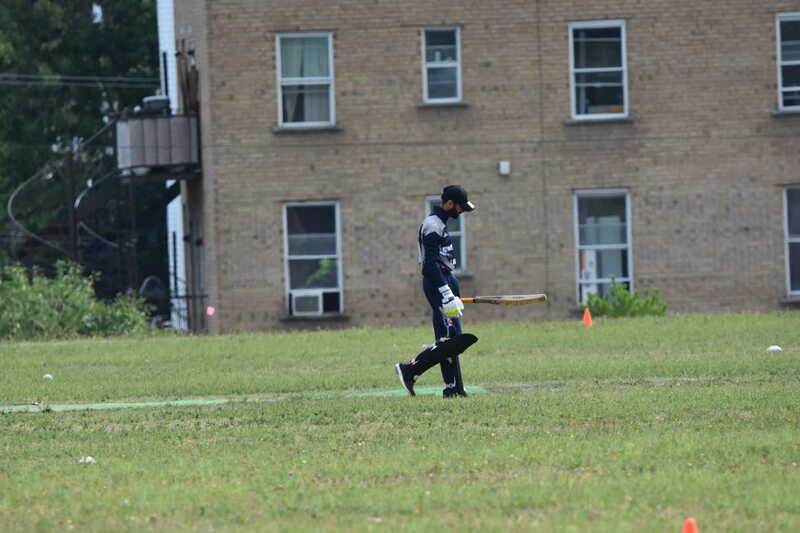 met for the second time on June 9th, and here we received our only defeat for the season, and that by the very narrow margin of 6 runs. M.C. went to bat first and made 53, Fenwick’s 28 being the most notable feature of the innings. B.F.C. retaliated with but 47, F. Rendell making 13. Play was to stop at 6.30, and if the game did not end then, the match was to be decided by the first innings. We succeeded in dismissing the first six men for 7 runs, and things looked very hopeful for us, but Newhook and Janes, by careful and steady playing, saved the day for the Meths. ; and at 6.30 had not been put out, so on the strength of the first innings M.C. won. However, it only remained for us to beat St. Bon’s to make the championship ours. The two teams met on Saturday, June 11th, and B.F.C. winning the toss sent St. Bon’s to bat first, and quickly dismissed them for 10 runs. B.F.C. followed with 37, J. Anderson making 14. St. Bon’s second innings was scarcely more fortunate than the first, only 19 being made, thus leaving B.F.C. victorious by an innings and 8 runs, and Champions for 1910. The last match of the round between M.C. and S.B.C. was won by the latter in a tight finish by 3 runs. 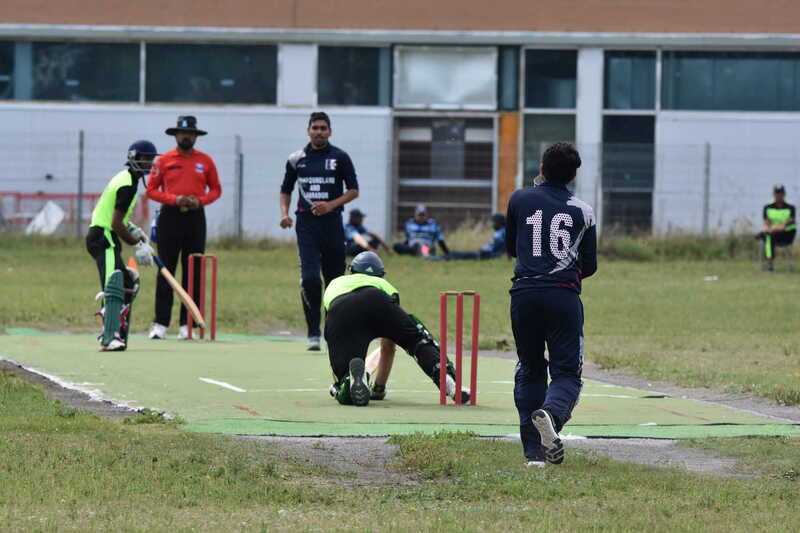 As to our team, the bowling was probably the best of the three Colleges on the whole, Edwards especially distinguishing himself in one match by taking 6 wickets for 1 run. 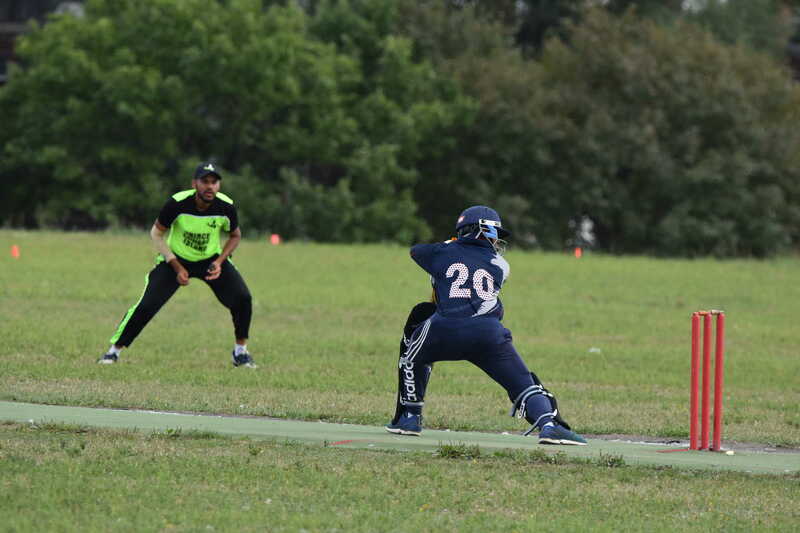 The fielding this year was far better than has been usually the case, and the batting, though strong in some respects, showed that weakness which can only be overcome by plenty of practice. On the whole the work of the team has been very creditable. Every man was keen and reliable, turning up to all practices, and obeying his officers with¬ out demur, and when this disposition is shown on every occasion it is needless to say that it is a great pleasure to captain such a team. R. H. Tait, Captain B.F.C. cricket, 1910. Our cricket Team this year contained a large number of new members owing to the loss since last year of R. H. Tait, J. Anderson, A. Edwards, I. Joyce, M. Seeley, and C. Rendell. During the early part of spring the weather was most unsuitable for cricket and the ground was absolutely unfit for practice until a few days before the Inter-Collegiate matches began. The consequence was that it was impossible to have our team ready to meet the other Colleges, one of which, at least, had the good fortune to possess a large number of its last year’s players. The earlier matches were thus as could only be expected, disastrous to any hopes that we might have had of retaining the Championship. As the season advanced, however, our team improved wonderfully, and we succeeded in winning the last match by a substantial margin. We congratulate the members of the team upon the spirit that they showed and upon the excellent progress made in the face of overwhelming and unavoidable difficulties. 1911 THE cricket Season was in many ways a disappointing one. In the first place we had lost all our reliable colours of 1910 and again the weather, during the early part of the term, prevented any practice games being organized. We had thus very little chance of watching our ”colts.” Apart from this, however, the batting on the whole was poor. With only a moderate total against them the side showed no confidence in themselves but merely scratched together their two’s and three’s and retired. This, to a certain extent, was excusable with the non-colours but in the members of last year’s cup-winning eleven it was disappointing to say the least of it. The bowling was by no means weak. There was quite the average variety for a school eleven although we were without a really fast bowler. The fact that the bowling was not managed at all well will account for its apparent weakness. The fielding was like the batting, half-hearted. Time after time the importance of this branch of the game has been pointed out to the team and yet the same indifference prevailed in the field throughout the season. The weakness in fielding was almost entirely due to slackness. 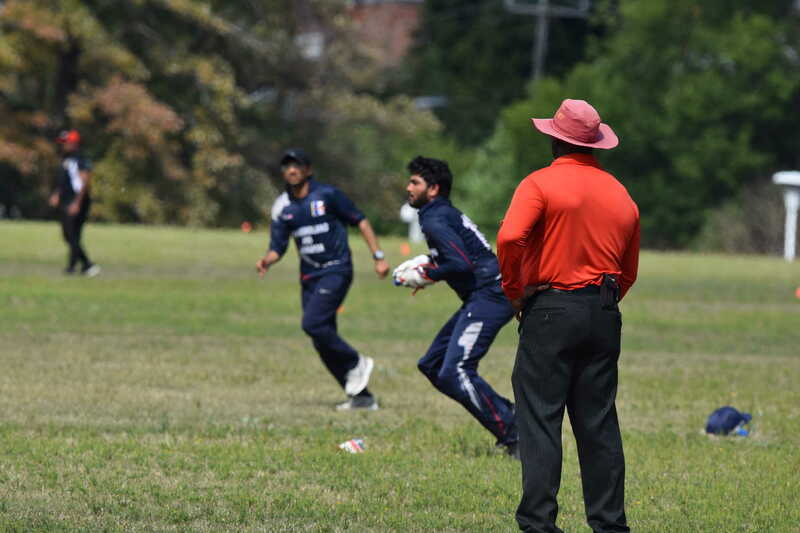 As long as the fielders in the ”country” feel it necessary to lean against the railings or a goal post and men in close to miss catches with one hand which they could easily have taken with two hands, the fielding will be poor. The team should try to realise that every catch missed is equivalent to another batsmen to the opponents. There is no doubt the season ought to have been a better one, as the team had the making of a very fair eleven, but it can only be described as disappointing. With several of the eleven still young we shall hope for better things next season. The Second Division were very unfortunate owing to the late arrival of their goods but, in spite of this, we were glad to see how regularly they did turn out. They will be all the better for it as some of them will discover when they see their names down to play for the 1st XI next year. A few words to the Johnson Shield Division. With you rests the future of B.F.C. cricket. You are all still young and now is the time to break bad habits; now or never, one might almost say. If you wish to become cricketers you must start at once and remember you cannot become a cricketer of any standing if you forget all about it through the long months of autumn, winter and spring. You must read all you can about the game, practice your bowling and the various strokes you have been shown, and above all take every opportunity of watching good players and copy their actions as far as you can. Three of the greatest cricketers that ever lived were once no better cricketers than some of you are now. And yet they had no nice field to play in, no long holidays, nobody but a few old village men to coach them; but their success was due to one thing—keenness. Every morning they were up at 6 and played until it was time to go to the mill to work. They had one hour off for dinner but they never got any because they spent that hour at the foot of an old quarry playing cricket. You, one and all, can become cricketers in every sense of the word if you wish, but first of all you must be keen. C. Martin (Capt.) One of our best bats with quite a good shot to square leg. 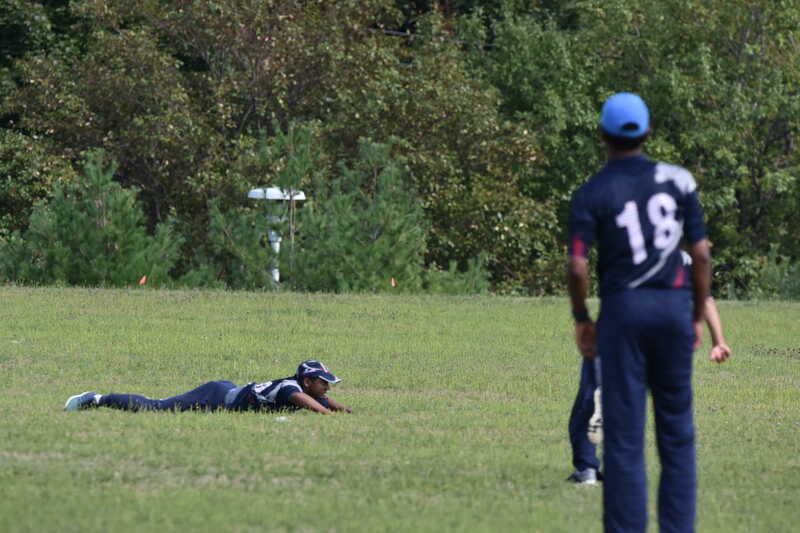 A fairly safe catch but slow in the field. As a Captain, was not a success, not changing the bowling anything like enough; worried his field and was constantly changing the batting order. T. Winter (Hon. Sec.) A fair bat but did not come up to expectations. A useful wicket-keeper. Should be very good next year. F. Rendell. A hard hitting bat who made runs occasionally. A good field at long-on but lazy. As a bowler, generally lost his length early, otherwise useful. J. Temple. A good steady bat who could hit hard when set. A very poor field. A good medium pace bowler and on his day very hard to get away. F. Jerrett. Should have made a lot more runs but always lost his head in a match. Very poor field. A useful bowler at times. E. Oke. A good bowler with a natural break from the off. Very good field at mid-on, and a safe catch. R. Spurrell. A poor bat but very safe catch in the slips. E. Wellman. Could make a few runs in his own way. Fair field. P. Petite. A very good bowler with an easy natural swing. Sometimes made runs. J. Trebble. A fair bat with one good shot past “cover.” Very fair field. T. Payn. A useful slow bowler but was afraid to trust his slows in a match thus spoiling himself for the season. Very safe catch. 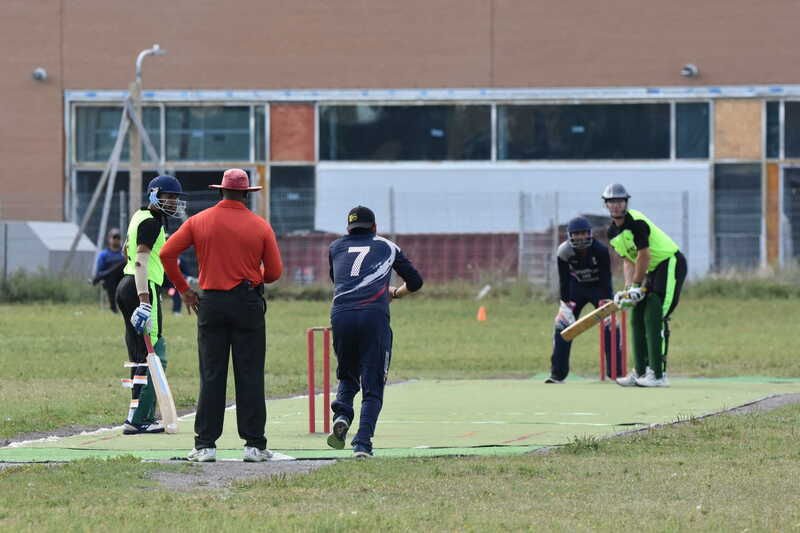 On May 23rd we opened our cricket season with a match against St. Bon’s. Having won the toss Martin decided to bat first and sent in Hall and Jerrett to face the bowling of Knight and Keneally. A rot set in immediately, and the bowlers being backed up by good fielding, dismissed the School for 20. With one wicket down St. Bon’s passed our total and batting consistently established a lead of 73 runs. The School fared little better in the 2nd innings than in the first, being dismissed for 48, of which Petite made 14. Rendell (4 for 29) was our most successful bowler. 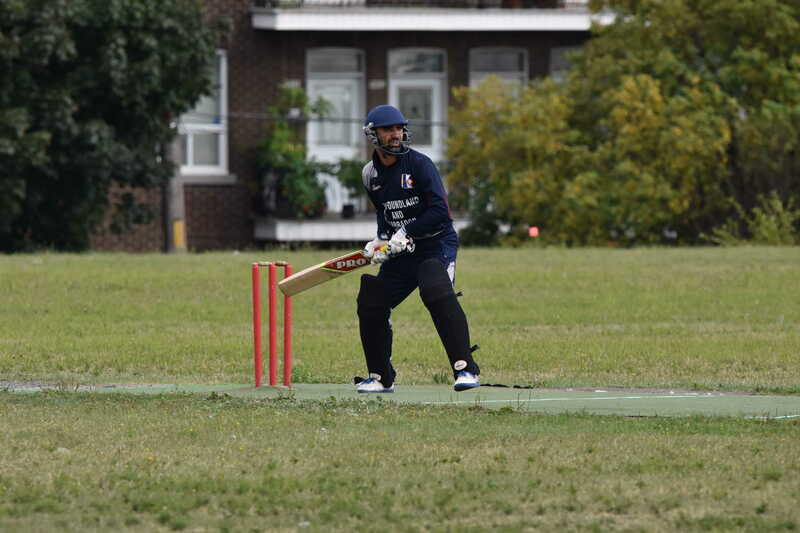 This match was played on May 27th and resulted in an easy win for the Methodists by nine wickets. The School batting first gave a very poor exhibition, being dismissed for 24. To this total the Methodists replied with 64. We just managed to save an innings defeat, thanks mainly to Martin, who played nice cricket for 17. In the Methodist’s innings Oke took six wickets for 10 runs; put on as second change he was quite unplayable. This match was simply thrown away by the School. Martin, as usual, won the toss but the School seemed to benefit very little by their Captain’s good fortune, being forced to retire for 25. Oke, however, rose to the occasion and, well backed up by Jerrett, dismissed nine of our opponents for 23. 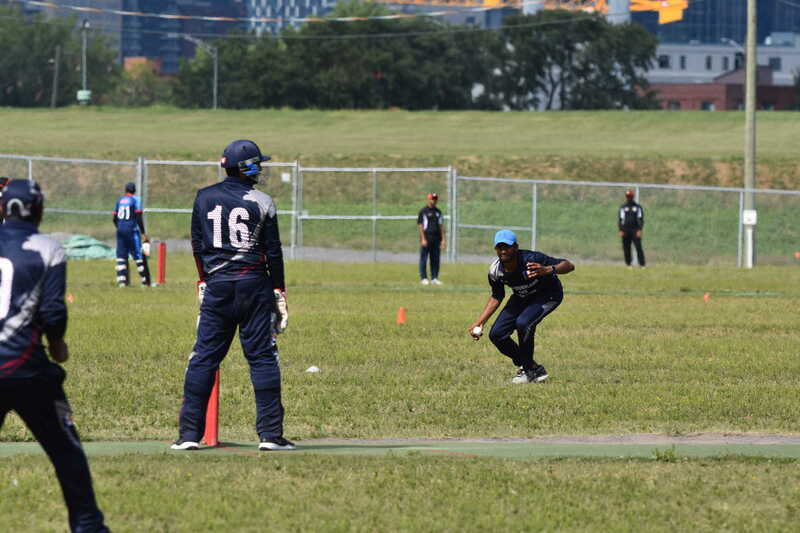 At this stage a couple of missed catches turned the tables and the last St. Bon’s wicket was allowed to put on no less than 35 runs. The School failed to get the 33 required to save an innings defeat. Played on June 7th, this match, the last of the series, ended in a win for the School. Batting first B.F.C. made 57, thanks chiefly to Rendell (23). Oke again proved too good for the Methodists, being mainly responsible for their dismissal. In the second innings the School only managed to scratch together 28, thus leaving M.C. 60 to make to win. 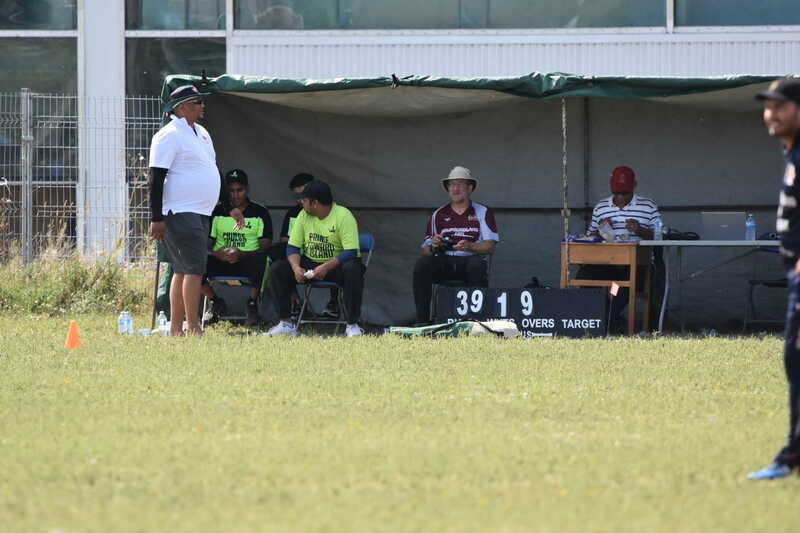 This proved beyond their powers, Oke and Temple bowling them out for 46. Oke kept a marvellous length, his analysis at one period reading overs, 8; maidens, 8; wickets, 3. THE First Division cricket Team, containing, as it did, a number of the members of tlie 1912 Eleven, was expected to be stronger than usual and to give a good account of itself. When, however, the date for the first match was reached, those who had been waching the practices felt that another fortnight’s preparation was necessary. As usual the weather preced ing the matches had been wet and cold though earlier in the year there had been a few days during which cricket could be played with some enjoyment. The greatest weakness of the team was in fielding, and it was evident that the batting was not strong enough to make up for the chances that would be missed. 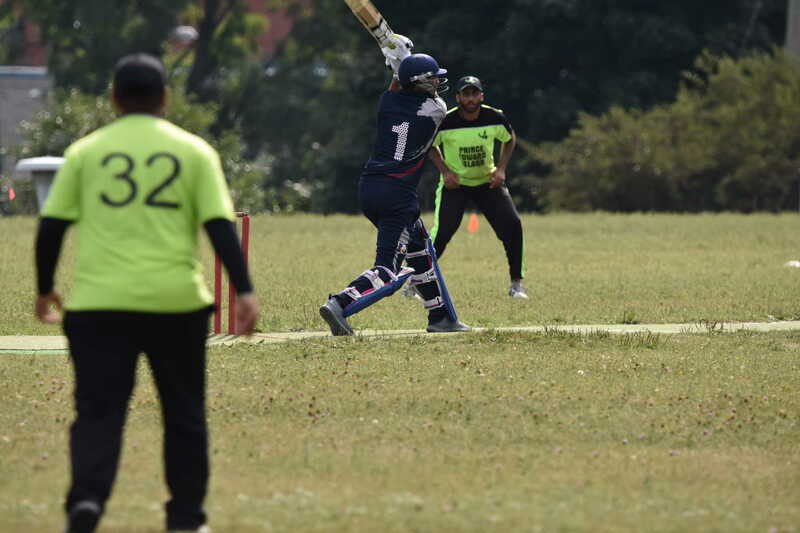 No team can afford to give two or three of the opposing batsmen a second or third life in each innings; and, as a consequence, our team was well beaten in both its matches against St. Bonaventure’s College. It was painful to see catch after catch dropped, and, while we know that the delinquents felt just as much mortification as did all those who wanted our team to win, we cannot honestly say that everything possible was done to strengthen this glaring fault of several member’s of the Eleven. For weak batting there is some excuse. The best cricketer in the world is liable io be bowled out first ball, and on one of our pitches a respectable score is as much the result of good luck as of good play; but a team can, if it chooses to practise, learn to hold catches, and it is the duty of a good captain to see that this branch of the game is not neglected by his men. There can be no doubt that poor catching had as much to do with our defeats as anything else. The batting, though far from good, showed occasional signs of improvement. 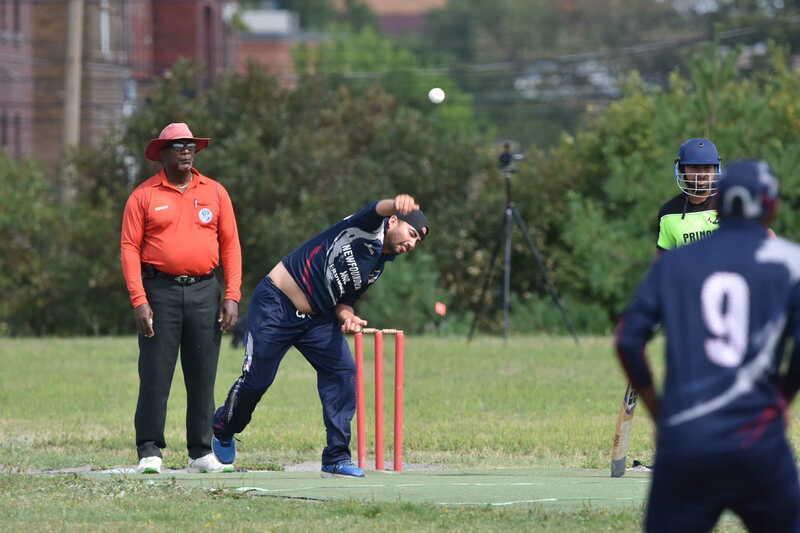 The Eleven was able to score 46, 65, 46 and 50 in four different innings and, for inter-Collegiate matches, these scores are quite creditable. 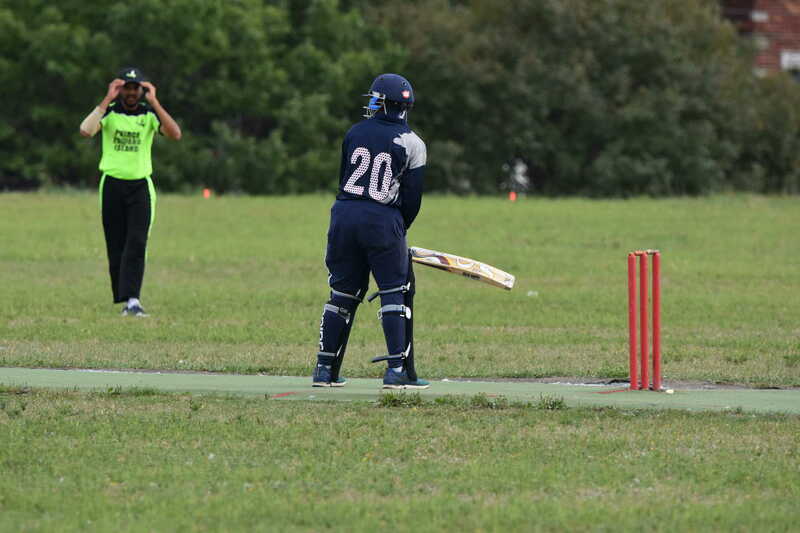 Winter, on one occasion scored 34 out of a total of 65, and in several other innings, batted well. He should be a tower of strength next season, though it does not pay to expect any one man to win matches for his side. His wicket-keeping, too, was good, and as a player he was our best man. As Captain, however, he has not yet learned to make the best use of the bowling at his disposal, and he shows too much consideration for the whims and fancies of the various members of his team. If any player, no matter how good he may be, is unable to do his best under the direction of the Captain, it is far better for the ultimate success of the team to let that player understand clearly that the Eleven can do without him. The Captain must not grumble at his men but lead them and ride them endeavouring to make each of them as cheerful and confident as possible. Several other members of the team were capable of making better scores than appear in last season’s score book and as the best of them will probably be with us next Spring, we look for bigger totals in 1914. The bowling was distinctly good. H Bishop and Shepherd bore the brunt of the attack and bowled well. E. Jerret was not used as much as in 1912 and his average leads one to believe that he might sometimes have been put on earlier. The bowling was, we consider, by far the best part of our game this year. St Bonaventure’s College won the championship fairly easily and we heartily congratulate them upon their success which was the result of hard work and the determination to win. We should have beaten them in our first match with them when Knight and Fox were allowed to score 42 runs between them ; while in the second match Kelly put together the fine total of 34 before carrying his bat out. 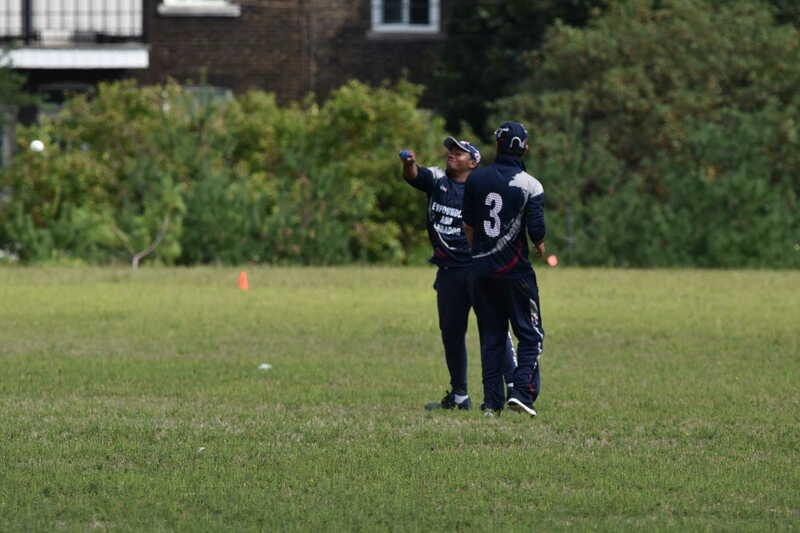 In both cases our fielding was in fault, some members of our team becoming quite paralized with nervousness by their repeated failure to hold catches. They should have been moved to positions where their condition would have done less damage to the team. In our first match with the Methodist College there was some trouble owing to interference with our batsmen. 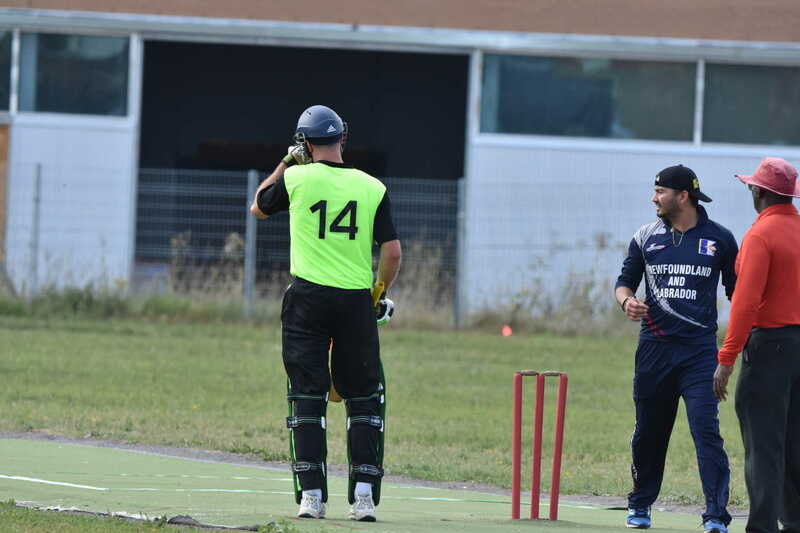 The Umpires were unfortunately somewhat uncertain as to their powers and failed to put a stop to tactics wdiich were contrary not only to the spirit but also to the rules of the game. Time was deliberately wasted by incoming batsmen even after attention was drawn to the fact by one of the Umpires. 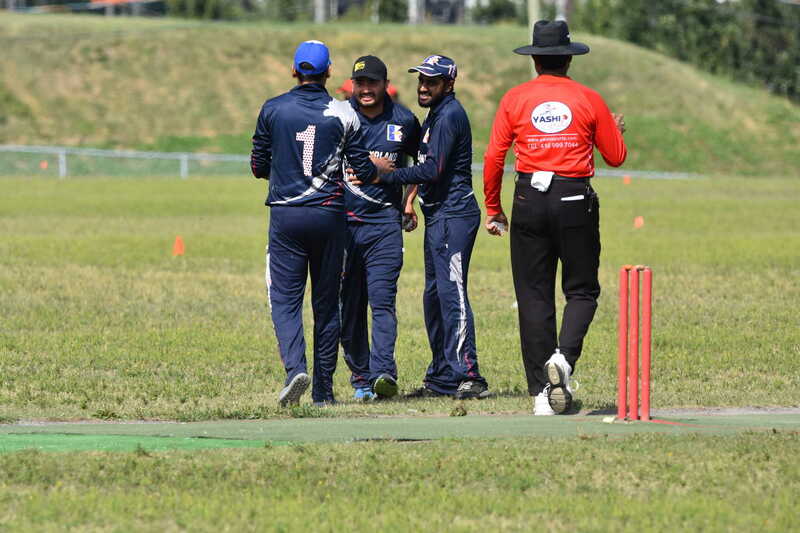 The rules state that in such case the Umpire shall award the match to the opposing side, but this was not done owing to the Umpires’ uncertainty as to the reading of the Rule. It is only fair to add that the Methodist College authorities punished the chief delinquent by removing him from the team for the rest of the season. The B. F. C. team behaved with considerable self-control under very trying circumstances. It is a satisfaction to know that our boys can win or lose like sportsmen and gentlemen. When the lust for victory has faded into the back-ground one recognizes that, after all, it is this spirit that games are intended to foster. UNLIKE 1912, we are not in a position to say that we went through the season undefeated by any other school, for we suffered a reverse at the hands of St. Bonaventure’s College. We beat both the Methodist College and the Presbyterian College. 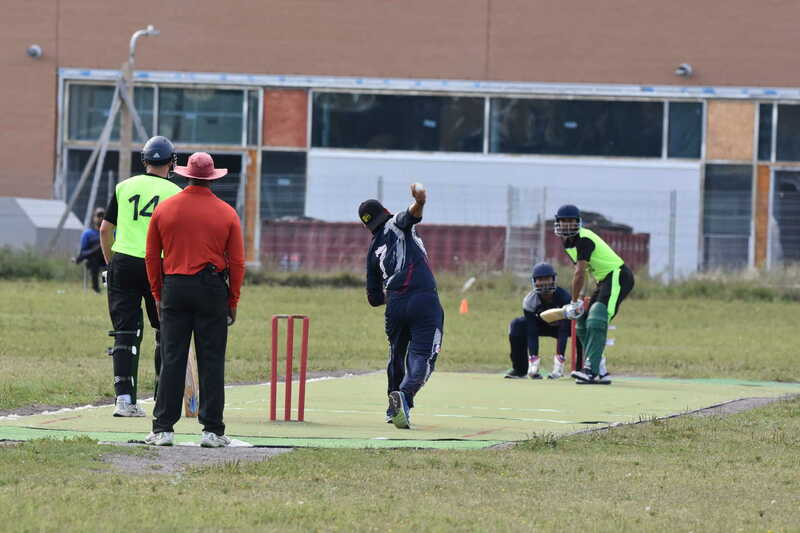 This year we were some time before we could arrange about a held to play on owing to the fact that the leveling on the new school ground was not sufficiently advanced to allow two games of cricket to be played at the same time. Hon. J. C. Crosbie, hearing of our difficulties very kindly came forward and offered us the lower half of Llewellyn Place for the cricket season. We are deeply indebted to him for this thoughtfulness, without which it is difficult to imagine how we should have had any cricket at all. As compared with last season our batting was weak, neither Paterson nor Clouston doing as well as was expected. 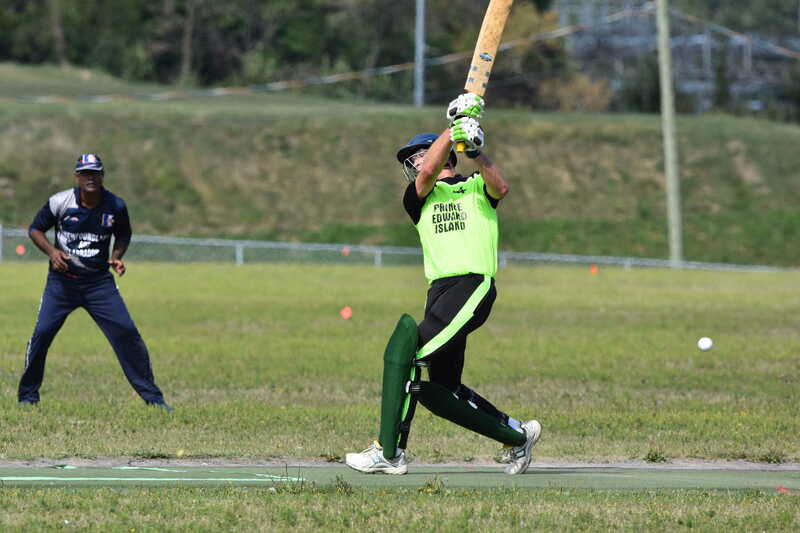 Clouston, though generally making runs, on every occasion got himself out in a needless fashion, such as running yards away to the off to hit a wide ball and then mis-hitting it into the wicket-keeper’s hands. It reminded one very much of a similar incident in a Gentlemen versus Players match at Lords, when Bosanquet bowled a “googley” to Lilly. The “googley” unfortunately, did not “google” and Hon. F. S. Jackson was just going to pick up the ball at point and return it to the bowler when Lilly rushed out to hit it to the boundary. For once Lilly made a mis-hit; and sent a very easy catch to H. Martyn, the wicket-keeper,, who by -this time had run to second-slip. The only dfference between Lilly’s case and Clouston’s was that whereas Martyn missed his catch, St. Bonaventure’s wicket-keeper held his. Paterson seems to have reached a stage where superior coaching, than can be obtained here is necessary to bring out his batting so let us hope that, in Scotland, he will be found by one of those old “pros.” who can almost at once turn a promising cricketer into a really useful, punishing bat. Bennett improved out of all recognition and, if he had not been shot through the leg in mistake for a cat in the early part of the season, there is no telling what he might not have accomplished. He is certainly the most stylish and effective junior wicket-keeper we have ever seen. Brown was the only bat we discovered. At times he hit very hard, as for instance against St. Bonaventure’s College when he hit a ball full pitch into Mr. Cook’s garden but, as a rule, he was a good, steady first wicket bat. Some very remarkable bowling performances took place during the season by the brothers White and on one occasion by Clouston. R. White against St. Bonaventure’s took 5 wickets for 10 runs, and a week later took 13 for 17 (7 for 8 in the first and 6 for 9 in the second innings) against Presbyterian College. G. White and Clouston both beat these performances when opposed to the Methodist College; the former taking 7 for 7 in the first innings and Clouston taking 6 for 0 in the second. C. Williams proved himself an excellent field at square leg and his smart returns were responsible for the dismissal of more than one batsman. Brown was our weakest fielder but, as he is leaving for the country where they catch hard balls in sofa cushions, he will most probably shine like a star next season. Taking everything into consideration, the season passed very pleasantly even in spite of the weather. 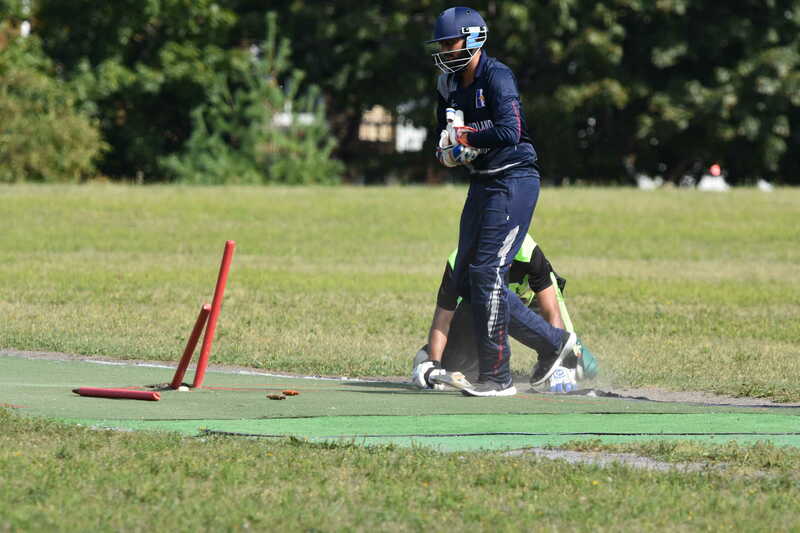 There is no need to take up space by writing about the impossibility of playing cricket in our Summer Term; everyone who plays the game knows all about it, while those who don’t play don’t deserve to know. If, at last, the time has come for a change, the Second Division implores the “Powers that be” to give all games due consideration but to please leave Rounders to their sisters, rather let it be marbles. R. WHITE (1912-1913) Medium pace, right arm bowler. Bowled throughout the season with remarkable success. An improved hard-hitting bat and good ground field at mid off. Should improve his catching. Captained the XI during the absence of Bennett. J. PATERSON (1912-1913). As a bat did not come up to expectations. Is very steady and stylish and only requires good coaching to develop into a fine batsman. As safe as ever at point. W. CLOUSTON (1912-T913). A good bat with strokes all round the wicket. Generally managed to throw his wicket away needlessly. A great player in an uphill fight. Had lost his pace as a bowler but still useful. Excellent first slip and long field. Safe catch. Played for 1st. XI. A. COEN (1912-1913). A poor bat but very safe at cover. A good catch and ground field. G. WHITE (1913). A poor bat but remarkably successful fast bowler. Fair field. K. BROWN (1913). A good first wicket bat, generally making his runs on the off. Could hit hard if he desired. A. CONSTABLE (1913). A very fair bat with a good shot past cover. A successful, slow, left-hand bowler, breaking both ways. Brilliant field in the slips. C. McD. WILLIAMS (1913). A useful bat and brilliant field at square leg. Picks up and throws in well. A very safe catch. L. HAYWARD (1913). A persevering cricketer who made his runs in his own way. A good field at mid-on. Always keen. E. REID. Played with some success. A safe catch and field. R. E. BENNETT. Winner of Scholarship, C. H. E. Exams, 1913. S. D. Football XL 1912. cricket 1912, Captain 1913. S. D. Shooting VIII, 1913. Entered St. Andrew’s College, Toronto. J. PATERSON. S. D. cricket XI, 1912, 1913. S. D. Football 1912 (Cap.) S. D. Shooting VIII, 1913. Entered Fettes. FOR the first time in the history of the College Rugby Football was this year adopted as one of the regular school games and cricket was dropped. Hundreds of Old Feildians and all who love England’s national game will hold up their hands in horror when they read the last three words of our opening statement. What, drop cricket, the game that has made England what she is! the game that teaches a boy to stand alone and face the attack of his opponents! the game that trains the eye and the body to act in unison ! the game that inculcates patience and self-control and self-dependence ! Impossible ! Outrageous 1 Disgraceful degeneracy ! But gentle reader and champion of the best game that the home of athletics has ever produced, pause a moment and exercise that patience and self-control which cricket has inculcated in you, and listen to the reasons why B. F. C. and the Methodist College came to the conclusion that cricket must be dropped, and then if cricket has developed your sense of fair play as it should have done you will admit that the change was necessary however much you may regret it. 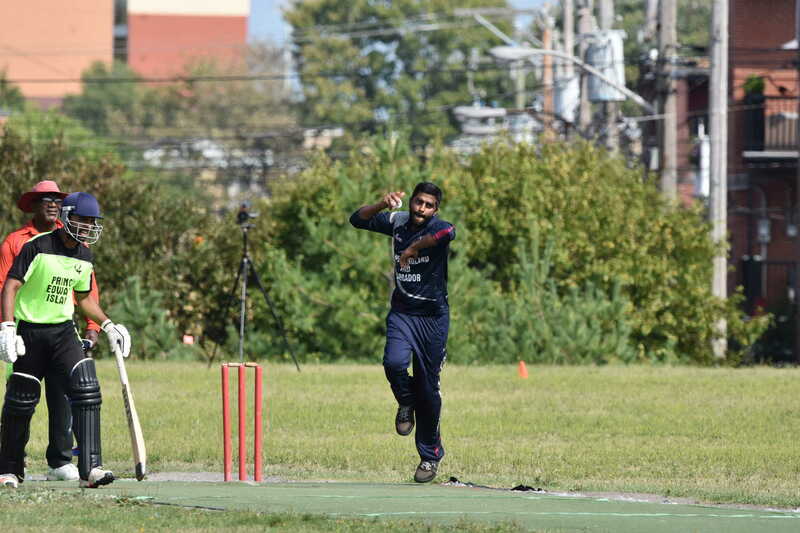 Cricket is essentially a summer game—a warm weather game. 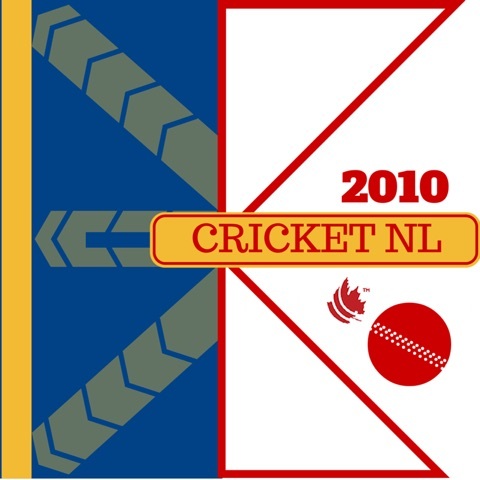 The Colleges of Newfoundland if they are to play cricket at all must play it during months of April and May and the first half of June; for the latter half of June is occupied by the examinations and the Colleges close for the summer holidays about June 27th or 28th. Now April, May and June in Newfoundland are very far from being either warm or summer months. For many years we have tried to play cricket in our overcoats and waterproofs. Some of us have tried to play it in flannels. None of us have played real cricket at all. For during April and June the gentle iceberg sails majestically past our shores and the North East wind blows blusterously bringing with it fog and drizzle and a clammy coldness such as no cricketer even in the home of cricket would consider suitable weather for his beloved game. The ground is in an impossible condition, the ball is in an equally impossible condition and above all the player is in the most impossible condition of all. There is no inculcating of self-reliance because in my experience of Newfoundland cricket going back about thirty years I have not known a single cricketer who had learnt his cricket in Newfoundland to have the slightest confidence in his ability to keep his wicket up or to score half a dozen runs, or to have any reason for such confidence in himself. 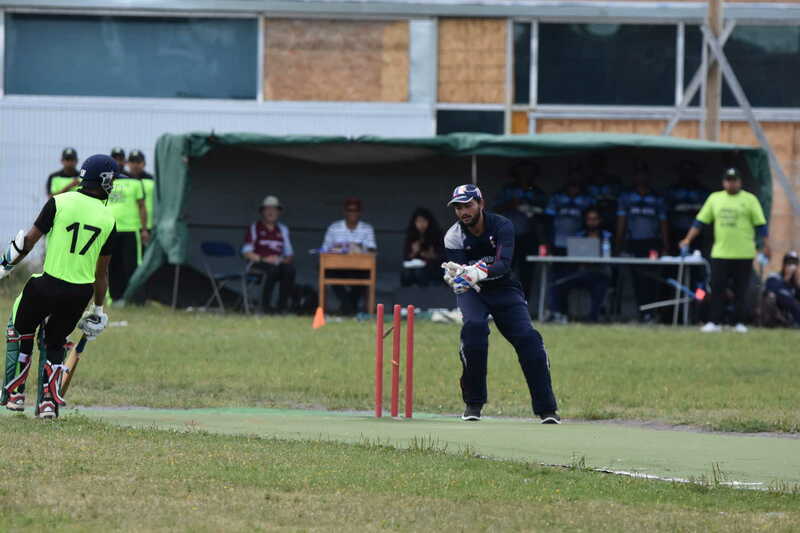 I have known two styles of play and only two—the “slogger” and the “poker.” As for the cricketer who can play a good length ball with any confidence or certainty— well, Newfoundland cricket has never so far as my knowledge goes produced one such. Occasionally an Englishman or a Newfoundlander who has learnt his cricket in England has appeared on our cricket horizon with the ability to play a good ball with confidence, but with every match played in Newfoundland his confidence has diminished and his play deteriorated until he too has joined the ranks of either the “sloggers” or the “pokers.” And this has been true of those who began the cricket season about the end of June and who thus played in such summer weather as our climate provides. St. Bonaventure’s College did not wish to drop cricket and decided to stand out of the Inter-Collegiate League so far as Rugby Football for 1914 was concerned. This left only M. C. and B. F. C. in the competition, and thus two, or, at the most, three matches would decide the rubber…. Although the matches were uninteresting from the spectators’ point of view there is no doubt as to the fact that Rugby Football is a more suitable game than cricket during the Spring months. Throughout April, May and June a large number of our boys were able to get splendid exercise at a time when in former years they would have had nothing to do. We think we can claim the cricket CHAMPIONSHIP for this year also. In all, we played four matches, won 3 and lost 1. Results are below. Our best bowlers were R. H. Tait, Duke Winter, E. Jerrett and N. Snow, and they certainly were excellent. The best scores in the above games were made by:— M. G. Winter, Jr. 8, 8, 16, 6. R. H. Tait 22. H. Winter 28, not out. R. Martin—3. 10, 13, not out. A. Martin—9, 6. L. Munn—3, 8. Ed. Ewing 11,4. H. C. Hayward 4, 4, 19, 4. T. Payne—7, 7, 2. Geo. Hunt—2, 4, 13. E. Jerrett—6, 3, 8, 5. H. Dickinson—9. We never could get the same team for 2 matches, and therefore we think the results very good. 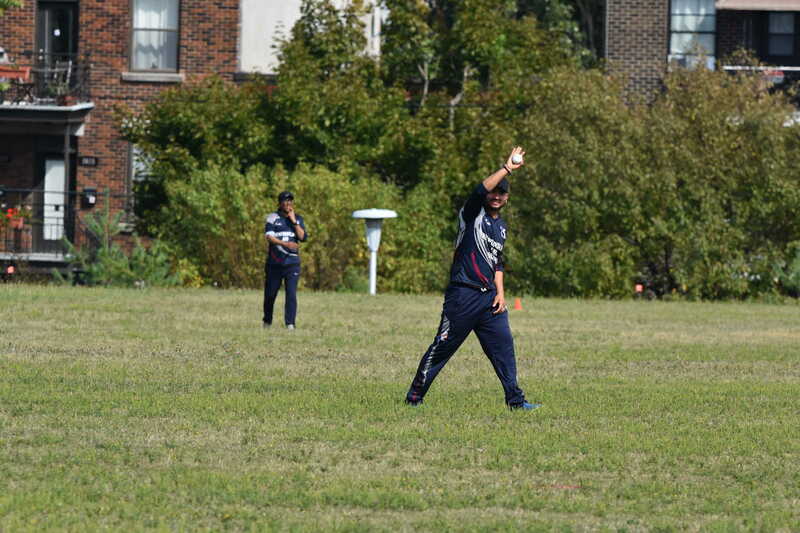 A. Martin made an excellent wicket-keeper, and the fielding was also good, considering we had no practice. Yours sincerely, HAROLD C. HAYWARD, Sec. 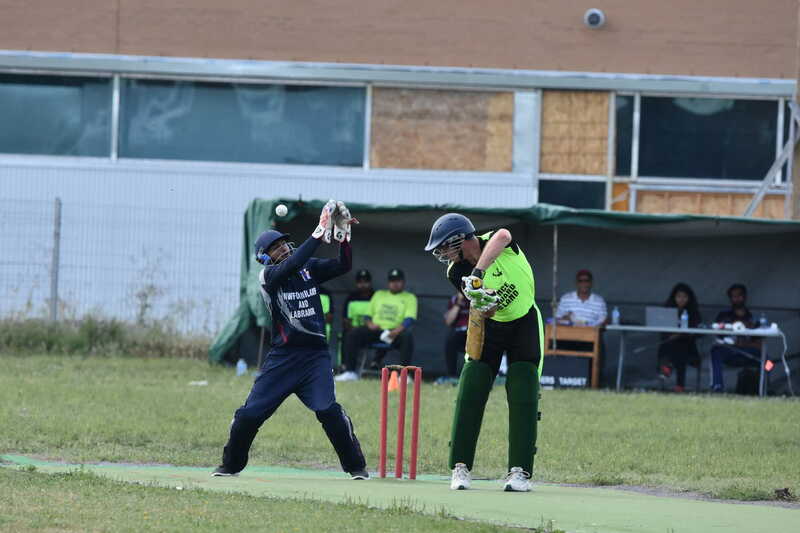 In the cricket Match with Grand Falls, St. John’s was defeated by 2 wickets and 75 runs. The highest scores for St. John’s were made by:—R. H. Tait, 16; E. Jerrett, 11, and A. Martin, 6. 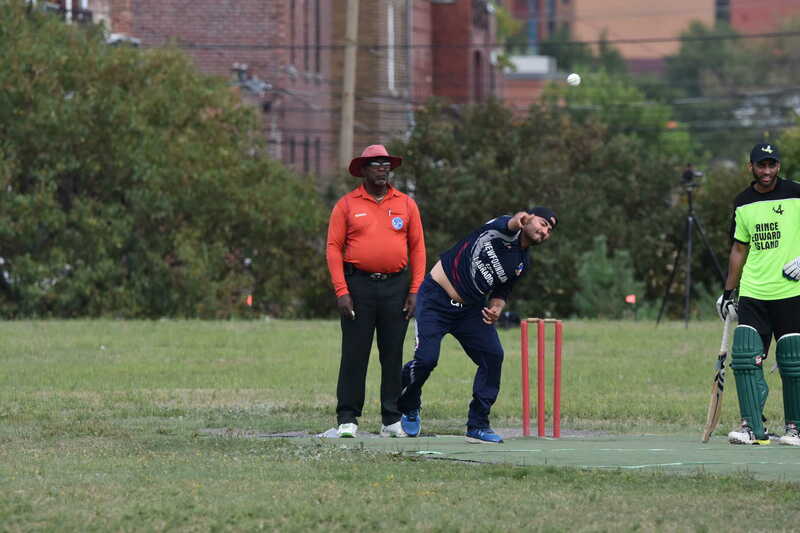 On July 8th we played our first cricket Match for the season vs. the Shamrocks. The game was keenly contested and resulted in a win for us by 24 runs. Ron Martin was top scorer for us with 16 runs, closely followed by Duke Winter 15. H. Munn and H. Ellis also reached double figures. Bowling, H. A. Winter, 4 wickets for 5 runs; Duke Winter, 4 wickets for 27 runs. 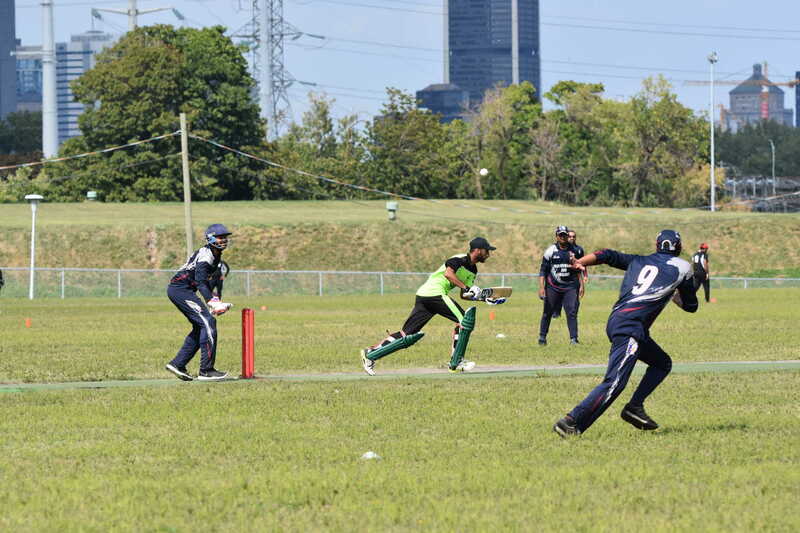 On Aug. 12th the Shamrocks had their revenge, defeating us by 24 runs. 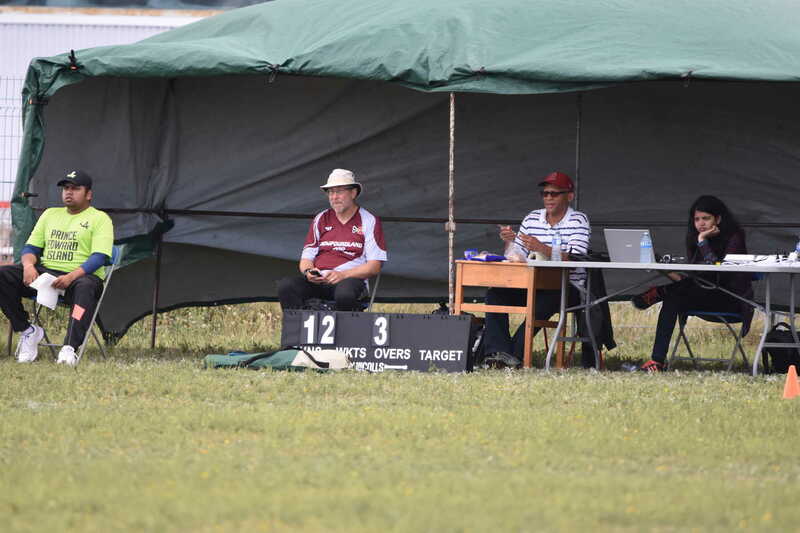 The highest scores for us were made by R. F. Goodridge 10, W. Pearce 14, and N. Snow 11 (not out). Bowling, Snow, 5 for 26; Munn, 3 for 28. Among those who were outstanding in football, cricket or hockey in 1898 were (as they are known to-day) Rev. Jacob Brinton, Mr. C. E. A. Jeffery, Dr. Arch Tait, Dr. Arthur Carneil, Rev. J. T. Hiscock, the beloved “Father Tom” of Queen’s, and Mr. Harry Dickinson, who still retains his youthful figure but has relinquished with much reluctance the sterner struggles of team com¬ petitions for the less arduous game of golf, in which he excels. Who of our generation does not recall happy hours at Llewellyn Place or does not regret its passing ? Situated on the north side of Forest Road, it had ample playing space for teams of the three divisions. The slope was gentle and the ground was more sheltered from the wind than is St. George’s Field. We entered the field through a barn that was under no obligation to live up to any Board of Health regulations and soon we were in the small dressing room where we prepared for the practice game of the day. cricket as well as football was played on the main ground but we had to use matting. Perhaps the best cricketer the college staff has ever had was Mr. C. M. Wright, who was an excellent bowler as well as batsman. The first games of the Newfoundland Football League were played at Llewellyn Place. The only available land within convenience was what was known as the Tannery Field to the north of Rennie’s River. A marsh for the most part, it presented a stiff proposition to convert it into recreation grounds, but the property was acquired and by many and various ways funds were secured to carry on the work. The spacious, well ordered playing fields which exist there now are a monument to the perseverance and the grit of those who have been responsible for the laying out of the grounds and their maintenance ever since. …. 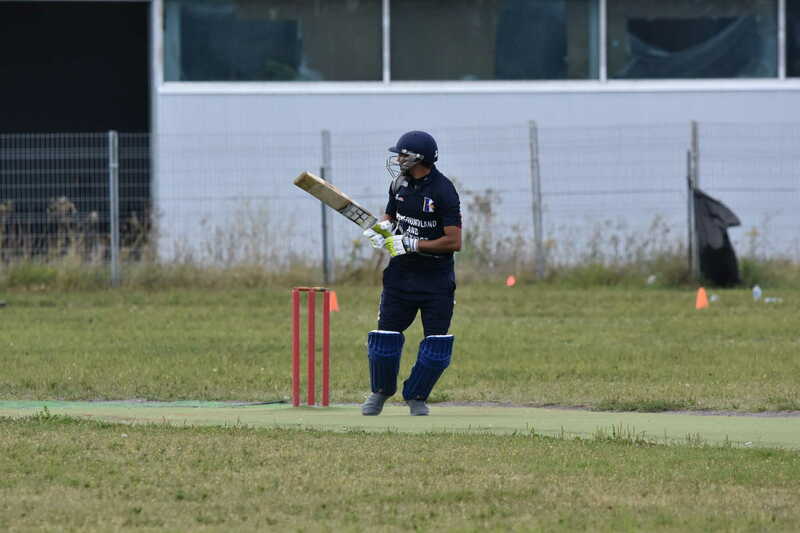 On Wednesday, July 18th cricket returned to the sports life of St. John’s for the first time in a number of years when a Feildian eleven defeated a Royal Navy team on the Feildian Grounds by a score of 56 runs to 48 and one innings. The Feildian team consisted of Lieut. Goodridge, D. Hunt, D. Winter, Geoff Stirling, R. Stafford, L. Skanes, E. Reid, E. Fox, R. Tooton, H. Emerson and F. Dymond. We did, however, have the advantage of spacious grounds which included a first-class playground for use at recess as well as a fine garden and lawn for the headmaster to which, in my senior days, I had the privilege of admission. In the gravelled playgound we set up cricket nets in spring and the smack of bat on ball was frequently attended soon afterwards by the crash of broken windows on the south side of Bond Street. In the fall we played field hockey. But whatever the seasonal game, we played it at the morning recess. For serious games we travelled to Llewellyn grounds which were all too soon to be sold for building lots. The juniors went to what was known as the Bishop’s Field. That is now occupied by the new American consulate. Then we acquired the Tannery. This is now dignified by the somewhat ponderous title of the Feildian Athletic Grounds. It boasts also a smooth, level and dry surface. In my time it was usually a series of small duckponds and thick bog in spring and fall..
CHARLES E. HUNT, Q.C, CB.E. Death brought an end on July 27 to the prolonged sufferings of Charles Edward Hunt, C.B.E., Q.C, and closed the career of one of the greatest and most beloved Old Feildians. He was in his 69th year. At the College he was a brilliant scholar and athlete. He was active in track, football and cricket—the last being his favourite sport; and he carried on his interest in football and particularlycricket during his years as a member of the Old Feildian Club.